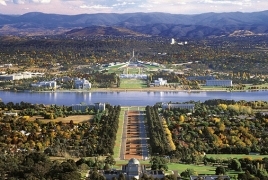 PanARMENIAN.Net - Australia’s House of Representatives has debated, for the first time, a Motion recognising the Armenian Genocide through the prism of Australia’s first major international humanitarian relief effort, and has called for a vote to change the government’s foreign policy, reports the Armenian National Committee of Australia (ANC-AU). The debated Motion recognises, among other things, “the extraordinary humanitarian efforts of the then newly formed Commonwealth of Australia for the orphans and other survivors of the Armenian Genocide, as well as the other Christian minorities of the Ottoman Empire including Greeks and Assyrians”. It was moved on Monday, June 25 in the Australian Parliament’s Federation Chamber by Trent Zimmerman (Liberal MP for North Sydney) and seconded by Joel Fitzgibbon (Labor MP for Hunter) and John Alexander (Liberal MP for Bennelong). Chris Bowen (Labor MP for MacMahon), Stuart Robert (Liberal MP for Fadden) and Anne Aly (Labor MP for Cowan) also spoke favourably on Australia’s helping hand for the victims of Ottoman Turkey’s crime against humanity. This comprehensive, bipartisan support indicates that the House of Representatives has taken a major step towards Australia recognising its first major international humanitarian relief effort was to aid survivors of the Genocide that decimated the Christian Armenians, Greeks and Assyrians of the Ottoman Empire. Significantly, the Motion accurately reflects and accepts as a historical fact the Armenian Genocide was a “genocide”, moving Australia closer to international norms of recognising the systematic murder of over 1.5 million Armenians by the Ottoman Empire starting in 1915. Kayserian said that Armenian-Australians faced “some obstacles and a considerable road ahead” to achieve full recognition of the Armenian Genocide by Australia, however “that journey is that little bit shorter after this debate broke many taboos”. Turkey misbehaving, bring that big genocide stick from the storage room, but don't use it because it will be used other times as well! Madness. Rep. Ted Lieu (D-Calif.) seized on President Trump decision to double tariffs on Turkey to push for the president to recognize the mass killings of Armenians as a genocide. “Turkey has been trending towards authoritarianism & becoming more anti-American,” the Democrat wrote. Whether the Armenians were the victims of a genocide has been a polarizing issue in Washington for years. Turkey's government strongly opposes labeling events from 1915, in which more than a million Armenians were killed or exiled, as a genocide and has lobbied against the designation. Trump declined to refer to the mass slaughter of Armenians at the hands of Ottoman Turks as a genocide for the second time this year. Former President Obama and his predecessors also declined to refer to it as genocide as they came under heavy pressure from both sides of the debate. Trump issued a statement in April in recognition of Armenian Remembrance Day, which marks the anniversary of Meds Yeghern, during which 1.5 million Armenians were deported, massacred or marched to their deaths by Ottoman soldiers in 1915. He did not use the term genocide in the statement. More than 100 lawmakers, including Lieu, signed a letter ahead of Armenian Remembrance Day this year urging Trump to call the acts of Meds Yeghern a genocide. 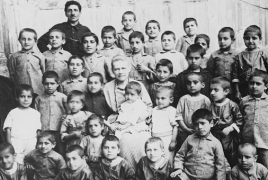 PanARMENIAN.Net - A vast collection of photographs belonging to Norwegian missionary Bodil Katharine Biørn and relating to the Armenian Genocide is now available on Wikimedia Commons, Wikimedia Armenia said in a tweet. The project has been implemented as a result of cooperation between Wikimedia Armenia, Wikimedia Norge - the Norway chapter of the organisation that supports Wikipedia - and the National Archives of Sweden. Biorn, who worked as a nurse in different cities of Western Armenia, witnessed the Genocide in Mush. Her collection of photographs recounts the everyday life of Armenians in the Ottoman Empire before the Genocide and its aftermath. Her memoirs containing the evidence of the killings, meanwhile, were handed over to to the Armenian Genocide Museum-Institute by her grandson, Jussi Flemming Biorn.